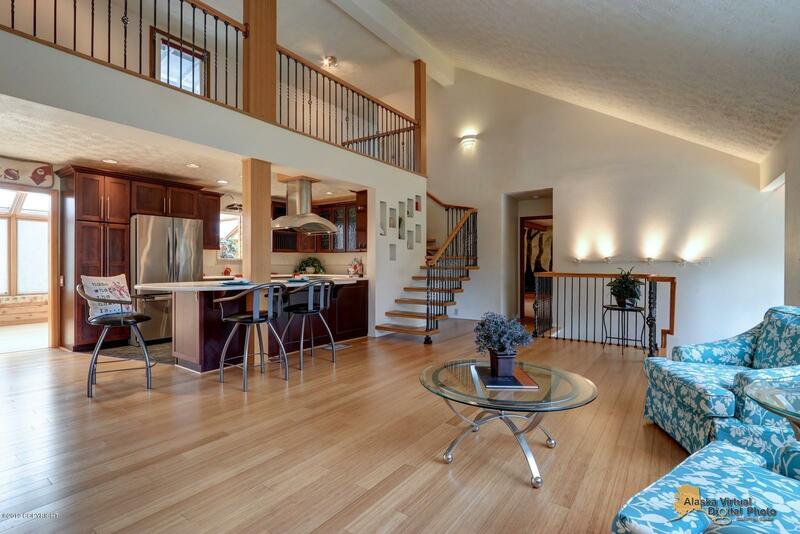 From the floating staircase, to the oversize 720sf garage..this artistic Turnagain home has it all! Huge master with 100 year old British dining hutch which is now a master bath vanity you have to see this home! Lovely low maintenance, landscaped yard just add to the surprises. Ample parking for both cars and toys!